In the world of blogging you have many platforms to choose from to start your blog. Some are free and others have monthly/annual fees to pay to keep your blog online. I'm certainly not going to go through all your options; you need to do your own research, look at your budget and decide for yourselves. I am here to set the rumors straight the Blogger/Blogspot platform is not dead, it is alive and has a very active community. You Don't Own Your Blog Content because you are not "self hosted"
Technically to really be self hosted you need to have your own servers and run your own programs. Even bloggers who say they are "self hosted" by using the common XYZ company they pay monthly fee for are not truly self hosted. They are paying the XYZ company to host their blog on that server, really that is not different than me having my blog hosted by Google for free. Come on this is Google, I think it is safe to say they aren't closing up shop anytime soon. 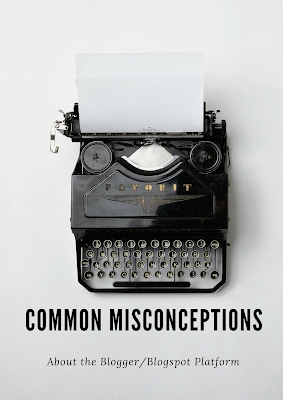 Common sense is no matter who your host is always keep back-ups of your content. BTW have your read Google's Terms of Service? Seriously? There are plenty of bloggers whom are making a pretty penny with their blogger blogs and you probably didn't even know unless they told you who their blog was hosted by. The platform you use has nothing to do with success or lack there of it. The person behind the blog is the one creating the success. If you don't believe me just ask Lisa or Kim, whom are just two of many bloggers making money while using Blogger/Blogspot platform. Learn how to create CSS code and anyone can make a blog/website look outstanding. If coding isn't your thing (like me) there are several inexpensive templates you can purchase on Etsy. They are easy to install and have a very professional look to them. If you prefer you can hire a graphic designer to use their talents to create a beautiful blog design for you. The design possibilities are endless. I have found that the Blogger Help Center has tons of information for pretty much any question you have. If you do have a problem that you can not find the answer for the Help Center has a very active forum. In the Help Center forum is a very knowledgable community and forum leaders whom can help you troubleshoot your problem. I have also recently discovered a fast growing and very helpful Blogger/Blogspot community on Facebook too. If you have good content, engagement, and a professionally looking blog why wouldn't a potential partner take you seriously? I am active on my blog and have a strong social media presence. My page views are growing each month and my readers are engaged with me. In the past 6 months I have had two sponsored opportunities and more opportunities are lined up for later this fall. I don't believe these opportunities would be coming my way if I wasn't being taken seriously. I hope I have set the record straight to let you know that the Blogger/Blogspot platform is a viable platform option to use for your blog. You don't necessarily need to spend money on a host each month/year to be considered a successful blogger. Great content and engaged readers are what make a blog successful not where the blog is hosted. 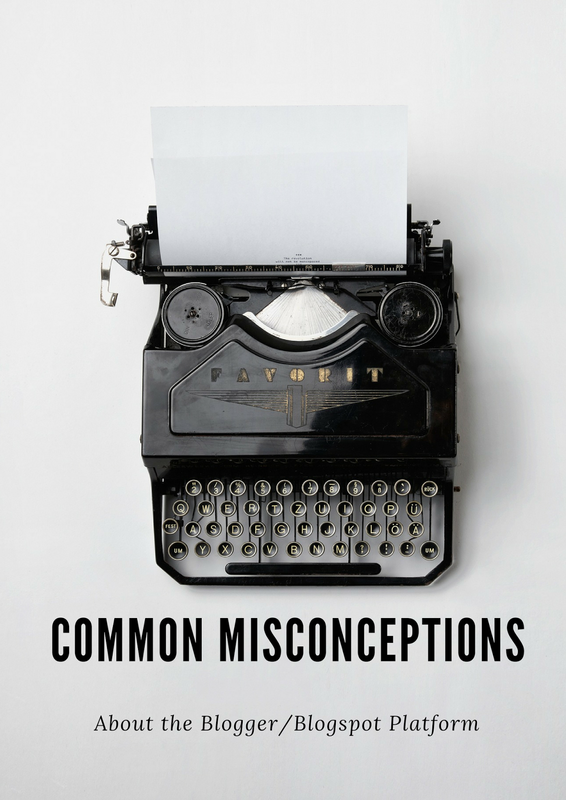 Did you have these misconceptions about Blogger/Blogspot? Special thanks to LadyGadget & KimSix Blogger Support FB group members for talking about this topic which gave me the inspiration for this article. You can also find lots of valuable Blogspot/Blogger help on Kim's (aka KimSix) & Rebekah's (aka LadyGadget) sites too.